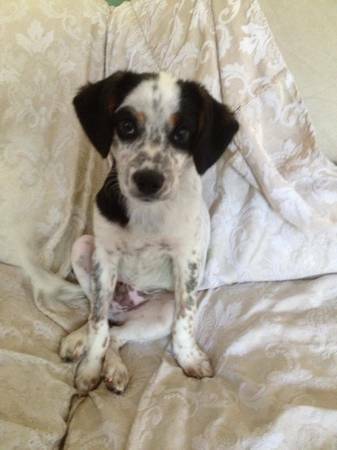 Lost dog, white with black spots, fixed, long tail.lost in browns mills, around evergreen blv and newton st. He is missing since October 24th , please any, any info contact me at 609-2485339. Last time seen around country lakes. King Charles cavalier with blue heeler.